While redoing a bar floor I came across 4 glass bottles, and from the tax stamps on them are from around 1947-1948. I did the research and 3 of the 4 check out as standard bottles but one has me puzzled. 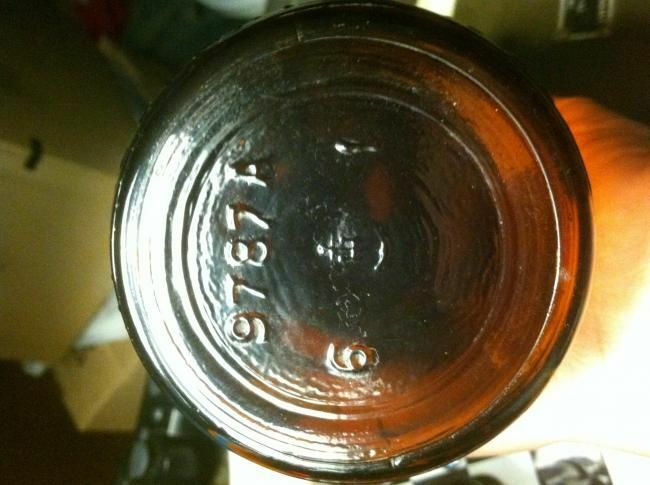 On the bottom of the bottle it has an anchor an hocking logo in the middle. To the left (manufacturing code) there is a 6. To the right (year code) there is a 1. Immediately above the logo is 9787A. 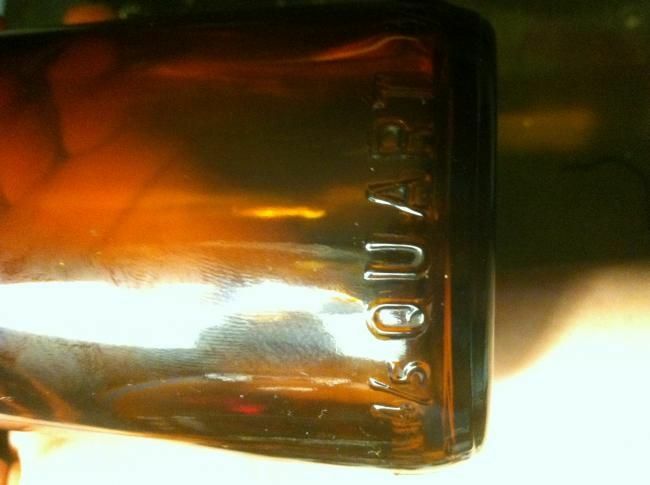 The bottom edge of the bottle is embossed with 4/5 quart 4 times. The tax stamp is orange says 1947-1948. it is from pa and the number on the stamp 252367. What doesn't add up is the fact that the bottle does NOT have the "federal law forbids..." embossing anywhere. 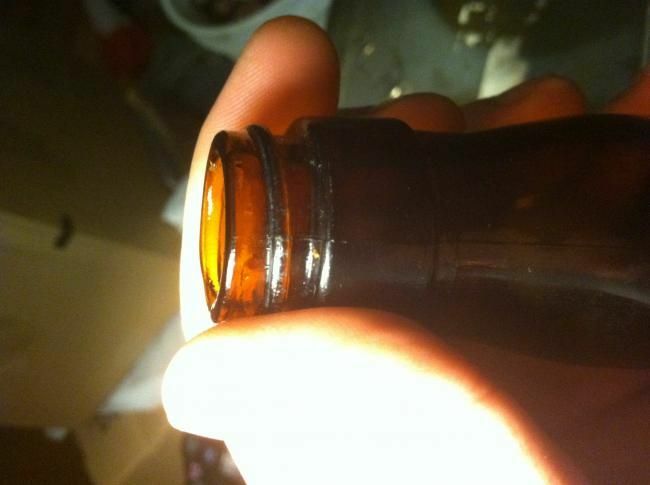 I forgot to mention the bottle seam goes all the way up to the rim. 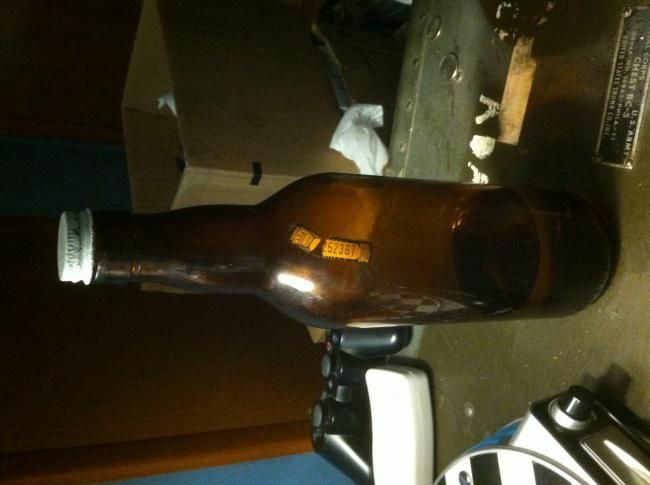 Here are the pictures of the bottle. 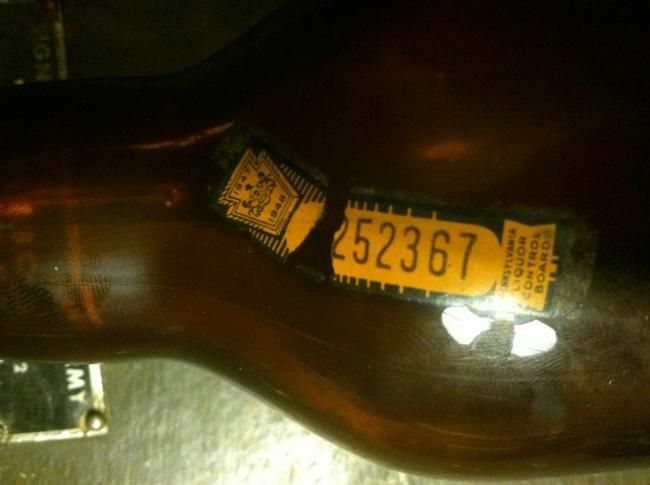 My best guess here (and it is a guess) is that this tax stamp came from another bottle. Normally it would be wrapped over and seal the closure (cap).